And sometimes, those who promote the pursuit of personal prosperity and success are those who preach the gospel! Yet, this this proverb maintains that life lived in the middle is actually preferable to wealth or poverty. This proverb declares that we don’t need to be rich or poor to serve God well. 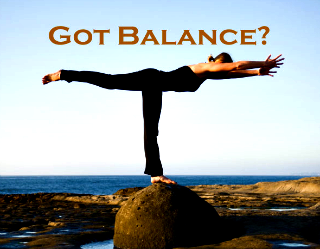 Rather, we should have a balanced life. When your life is consumed with pursuing personal fame or fortune or it is consumed with trying to solve your own problems, it is difficult to trust God fully. But, when you live life in balance and not in constant pursuit of fame and fortune, then you can better listen to God, better trust God. Then, you can better depend on God to help you through your problems. And then, you can accomplish God’s will for your life and allow Him to provide you with all you need to do it! It’s a fact of life that whatever you spend your time and money on is your main priority. “Where your treasure is, there your heart will be also” (Matthew 6:21; CEB). A great life doesn’t necessarily mean being great with wealth, fame, or power. Greatness of character doesn’t require great impoverishment or great suffering. A great life is lived by trusting the One who gives eternal life, Jesus Christ! When you trust in Him and depend on Him to show you the way and provide you with what you need, then you will live a balanced life. Then you will have eternal life. This entry was posted in abundant life, character building, false teaching and tagged abundant life, Bible, character building, false teaching. Bookmark the permalink.